The London Underground has a number of hidden and unused stations. 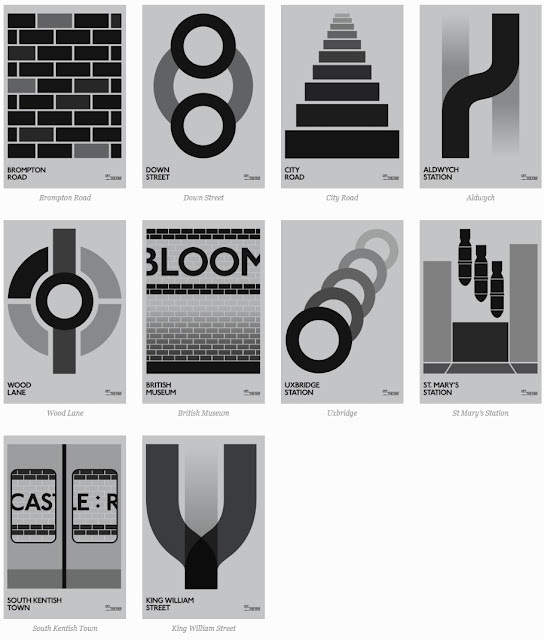 Now in the 150th year anniversary of the Tube this site, Off The Map, has created new artwork to celebrate these overlooked stations. The ten original artworks aim to bring to life the history and secrets of the stations and they will be on sale throughout the 150th Anniversary of the Tube. Following the relocation of the Knightbridge station entrance it was deemed uneconomical to keep Brompton Road station open. Operation ceased on 29th July 1934. Today, the station is hidden away behind a distinctive brick wall. It can still be seen when traveling on the Piccadilly Line; look out the right side of the train between Knightsbridge and South Kensington station.